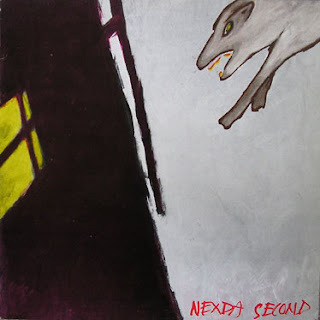 Neon were a four piece band from Eindhoven, The Netherlands, who, as far as I know only recorded this 12", one of the two releases on Subdivision, a side label of Torso. The other one, by Phantom Limb, was posted by Phoenix Hairpins a while back. Music that is a bit lighter than Joy Division, and sounded like The Cure area 'Seventeen Seconds'. Otherwise I have no clue about them. This is a posting of the almost complete works by Andre De Saint-Obin. The only track missing is his piece on 'Insane Music For Insane People Vol. 3' (anyone have that for me?). I believe Ding Dong first released the 7" and then the cassette. Especially the cassette is a long lost item, which deserved to be released on CD. I have no idea where the live recording came from, but it was given to me by a good friend. The cassette was transferred to CDR for me by someone else, and thus I don't have the cover. 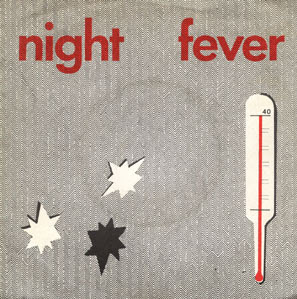 The cover shown with this post is the 12" cover version of the 7". 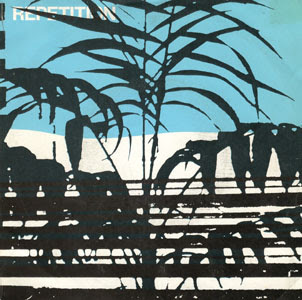 If I remember correctly there were 500 of the 12" covers and 500 of the 7" covers There was a glitch on 'Desolation', which gives the music a strange bump half way through. Don't let that spoil the fun. 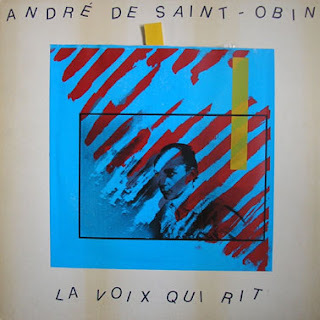 Andre de Saint-Obin played all instruments (voice, guitar, bass, keyboards, drums an electronic percussion) himself and recorded it on a four track - hence the title 'Sound On Sound'. 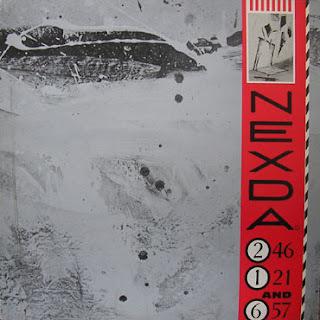 Having quite enjoyed the flexi disc these boys did for Vinyl, it took me some years to find this LP. 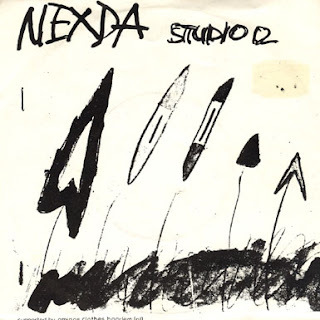 It has a studio side, which is the most interesting one, and it includes both tracks from the flexi and a rawer, punky live b-side. 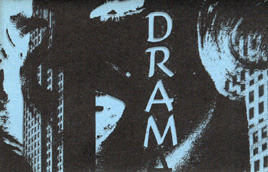 The live recording was made at the Electric Ballroom London, 19-2-1980 and the studio was Jacobs Farnham in August 1981. They use different drummer and different guitarist on the concert. They also released two 7"s which I don't have (anyone else who may have them?). A fine Joy Division clone. Before you think I'm turning to just Dutch music and with some grief over Rasmussen's kick out of the Tour de France, today something from Denmark. 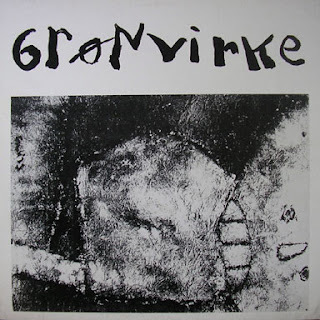 Grønvirkewas duo of Sten Jorgensen on cornet and vocal and Freddy Frank on Electronica and tapes. 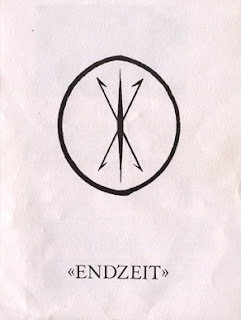 That's about all I know, besides that according to Graf Haufen's magazine Die Katastrophe (issue 12, 1984) Freddy commite suicide. The LP here says 'mini LP 45 rpm' on the cover but on the insert the sticker says 'play at 33 rpm'. The name of the label is a bit hard to read in the hand writing on the cover, but I think it's Gay Records. 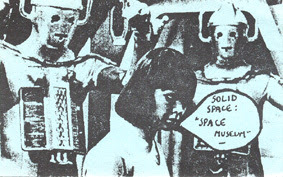 It's great slow Cabaret Voltaire music circa their 'Mantras' pieces. 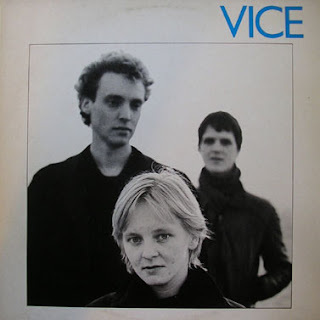 A promised a few days ago, here are both records by Vice, from Nijmegen, The Netherlands. 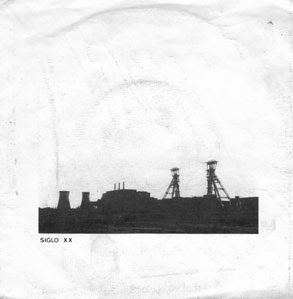 Probably the least known of the four bands from that city (Bazooka, Das Wesen, Mekanik Kommando and Vice), they only made these two albums, after which I believe members went on to form Güler and later techno act Ulan Bator. These days Ties van der Linden is still active, producing music for commercials and much more, check out www.fonofactory.com. Oddly enough nothing about Vice on this site, except that it's mentioned in the discography. Strange, since it's quite strong, especially the first 12" on Torso. The LP is a bit dull at times, with songs too much in mi-tempo. But Vice played a great set of minimal popmusic, with synths, sequencers, bass an guitars. 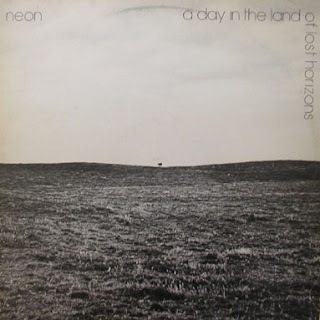 Quite an extensive posting, all three albums by The Netherlands' World According To (W.A.T. ), a group around Ad Van Meurs, on guitar. Before he was in Bleistift and today plays americana as The Watchman. This group was with Ankie Keultjens (his wife and also in The Wtachman) and Frank van den Nieuwenhof. As W.A.T. they played rather uncomplicated synth pop with a drum computer, synths and lovely vocals by Ankie. Van Meurs plays already much slide guitar here, which gives them a rather distinct sound. 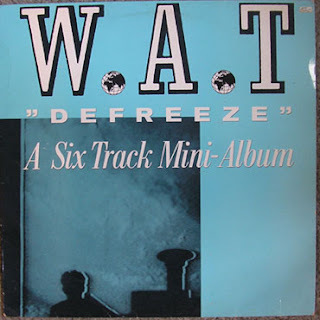 As far as I know they recorded three albums, of which the first one, 'Defreeze' still stands as a powerful synth pop classic. There might be a fourth one, but perhaps that was never released. 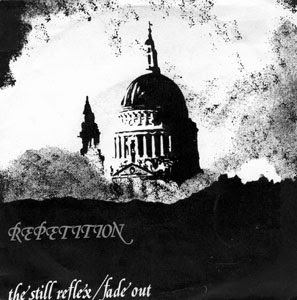 There are two uploads here, the first one is 'Defreeze' and a live recording from around the same time as they released this, though not the greatest quality. Their second and third release are in the second folder. 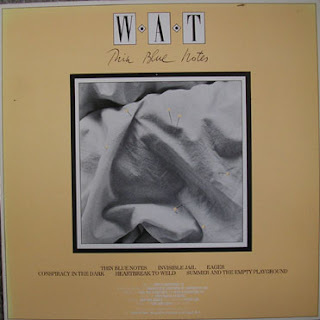 'Defreeze' and 'Thin Blue Notes' were both mini LPs with six tracks, and 'We' is a full length LP. 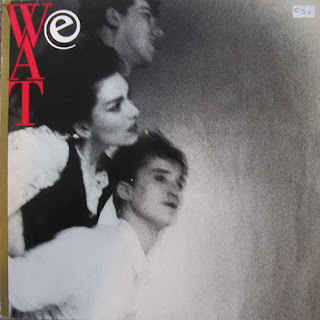 Certainly one of my favorite UK bands, who combined a great pop song with fine sense of experimentalism. This album was ill fated. Frizbee Records, of Amsterdam (connected to the Boudisque Shop and Plurex) had a high hopes of selling loads of copies, but it work out. So coupons in magazines appeared that you could this record for like one guilder, and in the end hundreds of copies were dumped at the garbage. What a shame, since it's a great record, more modern classical than popmusic. 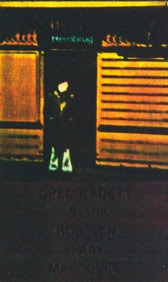 I made photos of the cover, which aren't great, but better than having nothing at all, right? The cover is a nice piece of art by Russell Mills actually. It's a great pity that has never been a proper re-issue of all their material onto a nice double CD. More to come here by them, including a live recording from around the same period. Recently I got a new turntable, thanks Ray! I could finally transfer a bunch of favorite vinyl to my computer. Some of the records are pretty old, so a bit hissy and scratchy. 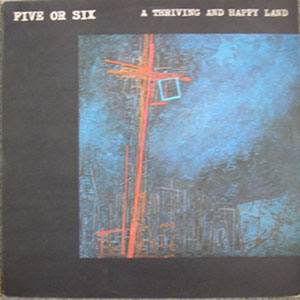 The first vinyl is parcel of five great 7" inch record from post-punk Belgium. 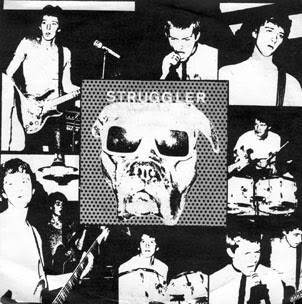 Struggler is the most punk one, whereas the other two are heavily influenced by Joy Division. Synth pop band who just had this one release. Musicians were: Dan, Matthew and Jon Winegum on one track. Cheerful and melancholy. Still a big favorite down here. In the Dutch magazine Vinyl this was reviewed saying it was nice but it'll be all forgotten about in five years. Yeah right. Still great. Etat Brut - Sollicitation Ext. 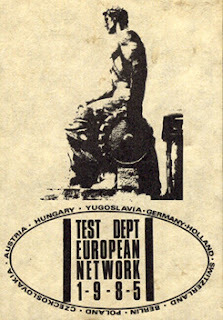 Test Department at their peak, as far as I think. 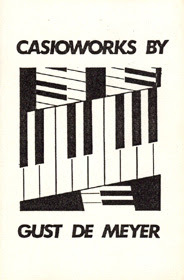 They played The Netherlands in november 1985 and both Staalplaat and V2 wanted to release this on cassette. V2 'won' the bidding war, perhaps because their recording (back then to a 'hi-fi stereo video') or the more art-presence of V2? I don't know, but this is an excellent live recording and quite a popular cassette release in the 80s, alsodue to the fact that it came in a nice black carton box. You'll find also scans of the various inserts, which may have been only part of the first edition. 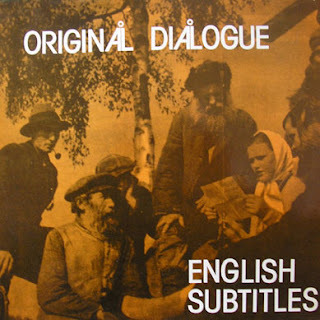 Both sides as separate MP3, unindexed. Somehow somewhere and somehow I got this demo from Portion Control. I am not sure when it was recorded, but listening to it, it seems to me that it's quite an early work, when they were less harsh and more poppy. The period when I liked them best. The tape is housed in a handmade carton box with an old poster glued to it. The band knows about this, but didn't care about it too much. On their recently released 5CD of archive works the whole first period seems rather underrated, which me thinks is a great pity. A compilation like so many of the releases on Finger In The Dike, but this one is all centered around Rob van Wijngaarden, who was also responsible for Mental (who had a flexi with Vinyl Magazine). 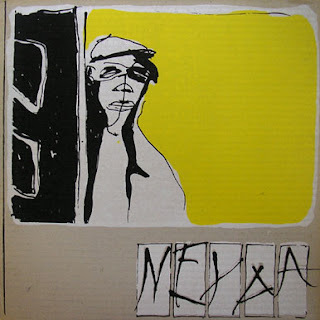 On this tape you'll find Sluik, Ma Colle, Opel Kadett, Rob Van and Paay. 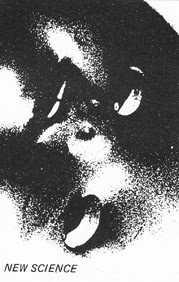 Unlike many of the Finger In The Dike releases, this is more minimal synth and less no wave. 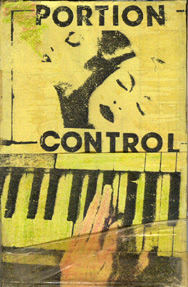 This is a truly obscure tape from Paul Haig, dating back the early days of Josef K. It has various experimental music works which he recorded in his bed room. Although the label says 'Rhythm Of Life Organisation', it has not much to do with the later work under the same name. Unindexed.